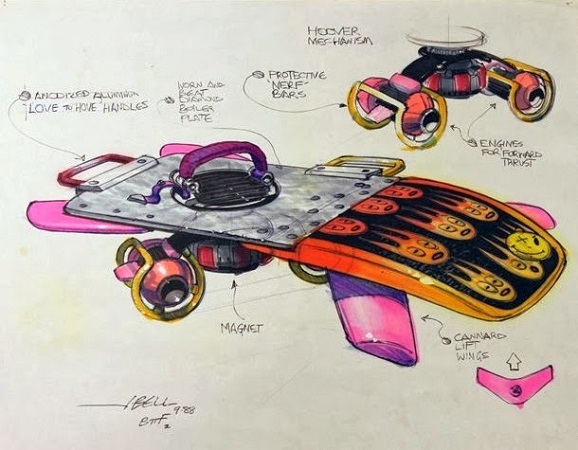 At this point in the Technology Age, any design of an actual working hoverboard is just a concept design, as they still don’t quite exist. But if they did, what would they look like? They couldn’t possibly retain the hideous look of the hot-pink mess that Marty McFly stole from that little girl in Back to the Future: Part II, could they? 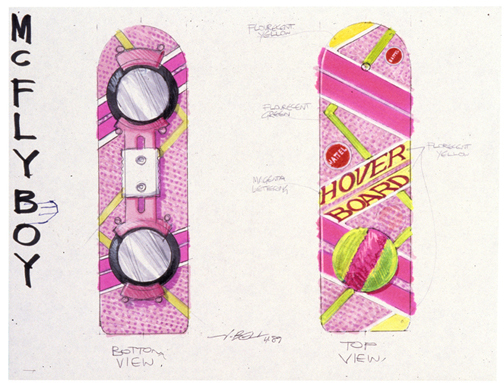 We probably won’t know for a while yet, but now we can look back on the original illustrations that birthed the post-skateboard craze in Robert Zemeckis’ sequel. 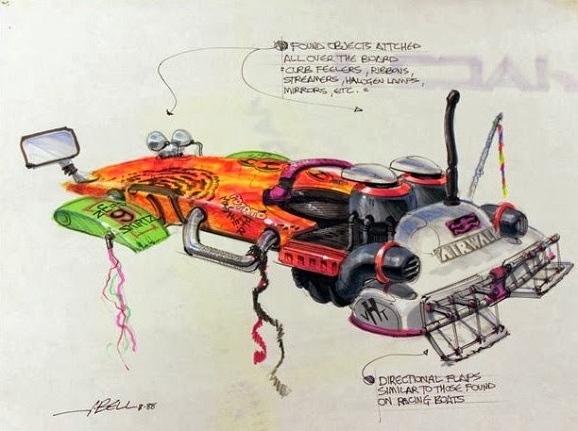 These concept images were created by artist John Bell, whose visual effects work on Back to the Future Part II earned him an Oscar nomination and a win at the BAFTAs. 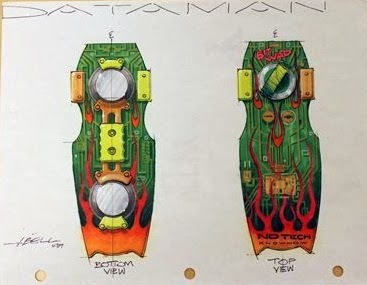 His talents have since gone into the productions of Back to the Future Part III, The Rocketeer, The Lost World: Jurassic Park, and Rango, with concept work for G.I. Joe: Retaliation serving as his most recent accomplishment. 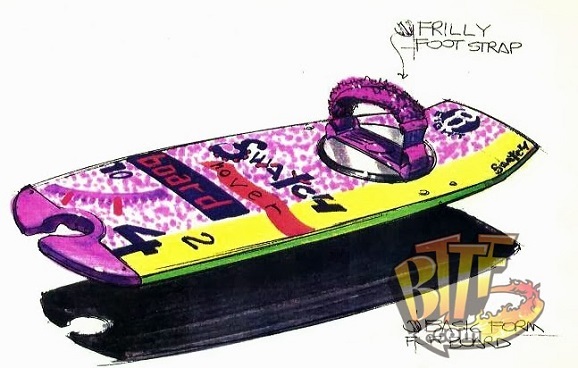 And judging from these drawings, it seems like Bell should have also worked on some underground comic books in the 1980s. This series of drawings was collected by the guys at FilmSketchr, who generally run classic film art of the sci-fi variety on a weekly basis. 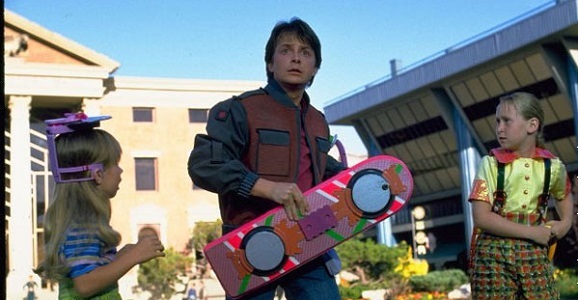 And this was inspired in part by the recent Funny or Die video that used Christopher Lloyd as a spokesman for a “real” hoverboard called Huvr. Too bad that was fake, but these colorful images sure aren’t. I don’t quite understand what the reliance on the color pink is, but I wouldn’t be ashamed in the least to travel around standing on something brighter than nuclear bubble gum. But don’t give me that curved Mattel handle, because those are for pussies. 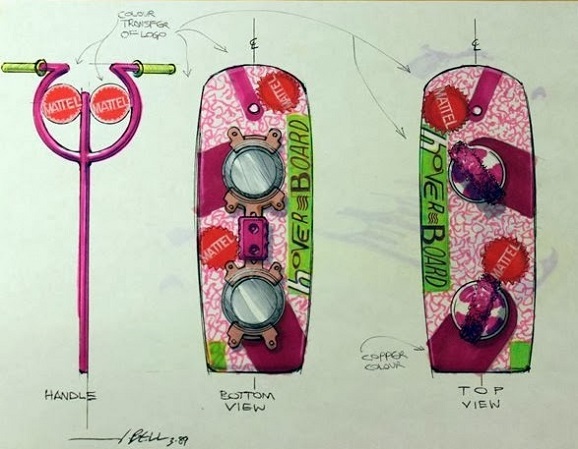 Here are a few more complicated designs that have much more going on for them than just getting from one place to another. I wonder where the GPS sensor and the mp3 player are. 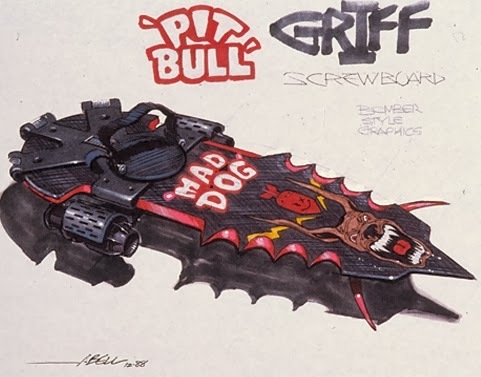 Leave it to Griff to have the coolest-looking stuff, that big lug. 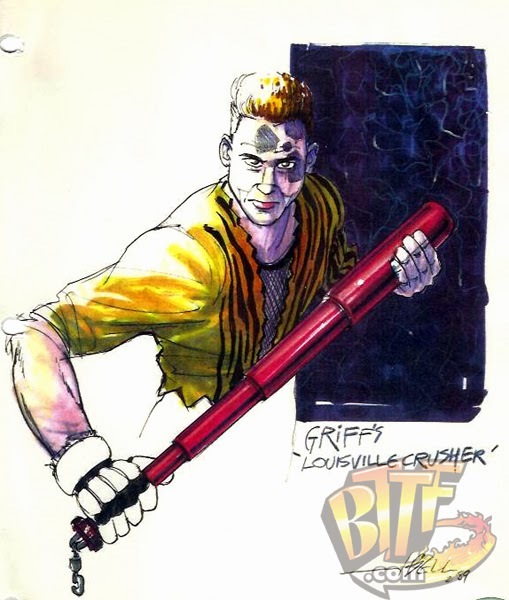 And just in case you thought a baseball bat was too simple a weapon to need a concept drawing…think again. After you get a good cranium bashing.